In a world where there are a million different makeup and skincare options, brand loyalty is a pretty big deal. It's all too easy to walk into Boots or Superdrug every time you run out of moisturizer or cleanser and select an entirely new product that you've never tried before. That life is not for me, however. 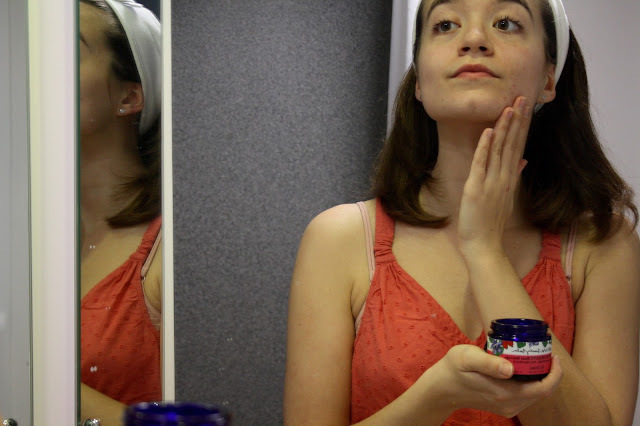 For years now, there has been only one brand of skincare on my bathroom shelf and that is Neal's Yard Remedies. So today, to get into the spirit of Valentine's Day, I thought I'd share a love letter not to my partner (sorry pal) but to this brand to show exactly why my ardour for their products is so strong. I have prominent dark undereye circles. Always have, always will. Whether I've slept for 10 minutes or 10 hours, they're an omnipresent part of my face. As I mentioned in my makeup free month post, I always used to pack on concealer to try and disguise these eye bags but to no avail. I felt that they were the most noticable part of my face and I was incredibly self-conscious about them. However, a product from Neal's Yard Remedies has gone a long way to changing how I feel about my eyes. 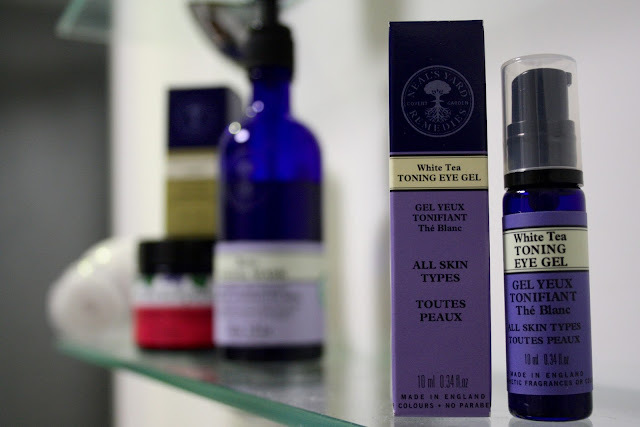 My Mum introduced me to their White Tea Toning Eye Gel a couple of years ago and from my first use, I fell in love. I apply a tiny bit of this gel under each eye every morning and it really brightens up my eyes. I feel more awake and as the product tones the skin under my eyes, I feel like my eye bags are firmer and much less noticable. The gel is light and and non-sticky, ideally suited to the delicate undereye area. Plus, like all Neal's Yard products, it smells AMAZING. Yes, I am still self-conscious about my eyes but wearing this eye gel helps me feel more confident every single day. When I rave to pretty much anyone who will listen about Neal's Yard Remedies products, the response that I get most of the time is "... yeahhhh but they're EXPENSIVE." And yes, that definitely is true. Whilst they're not quite on the level of high-end designer brands like Dior or Estée Lauder, they are pricier than your standard Boots own-brand face wash. However, with Neal's Yard products I genuinely believe that you get what you pay for. A little of their products does go a long way. For example, with one of my long-standing favourites, their Wild Rose Beauty Balm, which you can use as a cleanser, moisturizer, makeup remover, and even as a highlighter, I only need a pea-sized amount of product to cover my entire face, leaving it on overnight for an intense nourishing treatment. What's more, the price really does reflect the quality. 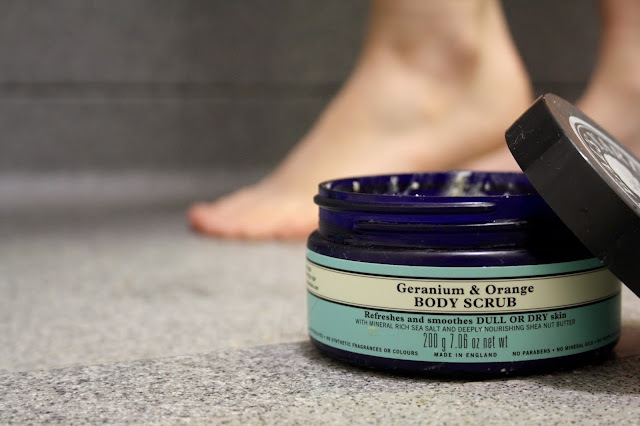 Every product is so gentle yet effective, which the Geranium and Orange Body Scrub demonstrates perfectly. I have tested out other body scrubs but this wins hands down. Its coarse texture really does make you feel like you're giving your legs / arms / whatever an invigorating polish, but at the same time it is deeply moisturizing and I often don't need to apply another moisturizing product once I've stepped out of the shower. No bunnies (or any other animal for that matter) will be harmed in the testing of Neal's Yard products as they're 100% vegetarian and certified by Cruelty-Free International. Most products are suitable for vegans too, although a small number do contain beeswax and honey, so if you are vegan make sure you check labels or consult a vegan product list. The rest of the Ethics page on the Neal's Yard website makes for pretty happy reading too. All of their products are sustainably sourced, organic, and fair-trade guaranteed. They were also the first high street retailer to be officially declared carbon neutral, using recyclable packaging and manufacturing their products in a purpose-built eco-factory to minimise resource wastage. Whenever I head into a NYR store, I know that I'll be shopping guilt-free, which is massively important to me. 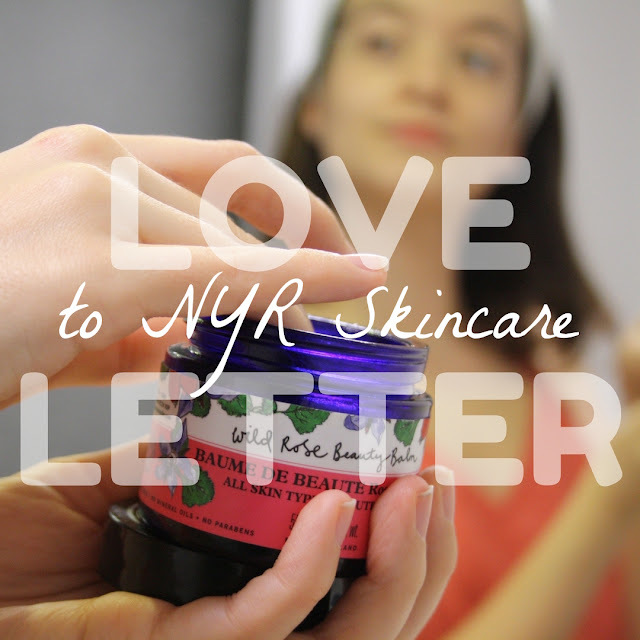 To sum it all up one sentence: I love Neal's Yard Remedies skincare because it loves me back. Do you have a go-to skincare brand? Or do you like to try new things? Let me know in the comments below! Say hello to this month's fab advertisers! 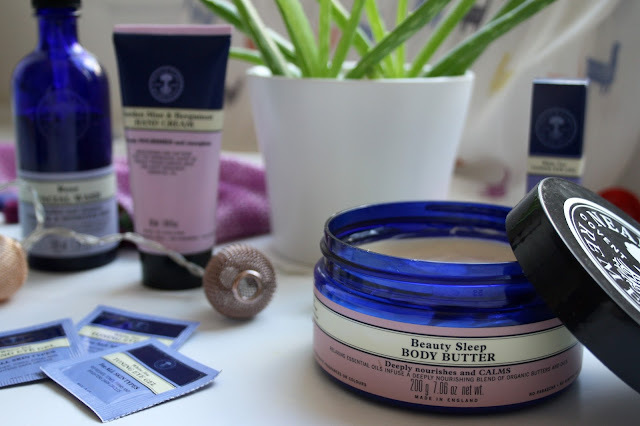 *This was not a sponsored post and I was not sent any products by NYR to review. This post is based on many years of testing (and loving!) NYR products.